I’m not a huge fan of ginger. Actual ginger, gingerbread, ginger beer… all the gingers just turn me off completely. But, my husband loves it! Wants to smother it on sushi, shave it onto food and juice it into cocktails. Ick. But I try to be a nice wife and will make him one on occasion. Plus, Ginger Beer comes in beautiful little packaging and you get to serve them in fabulous little copper mugs. So, I’m in. 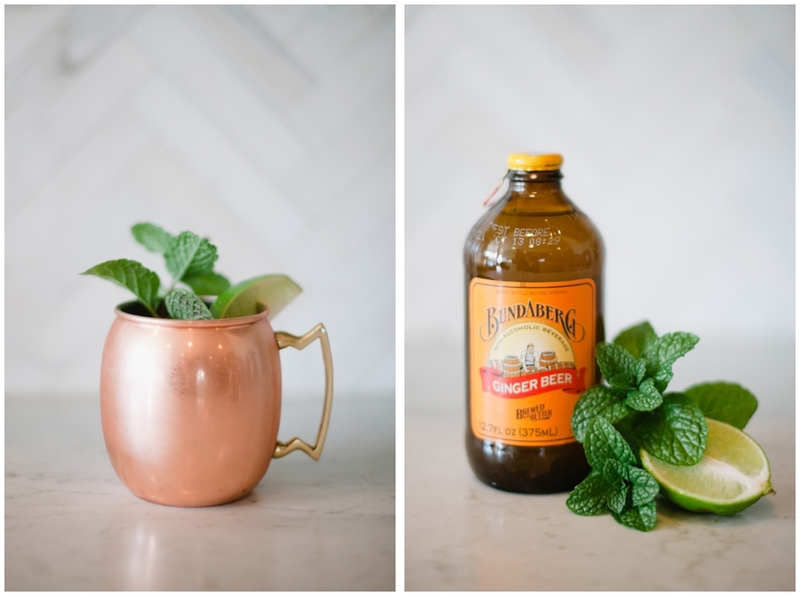 A traditional Moscow Mule is super simple… vodka, ginger beer, lime. But, I thought a little mint might give it a pretty kick! Pour vodka & mint simple syrup over ice and squeeze one lime. Top with ginger beer. Garnish with lime wedge and mint sprig.